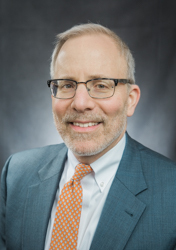 Paul J. Hauptman MD | University Physicians' Association, Inc.
Paul J. Hauptman, MD, was named the fourth Dean of the University of Tennessee Graduate School of Medicine in October, 2018 and also serves as Senior Vice President and Chief Academic Officer of The University of Tennessee Medical Center. Dr. Hauptman has extensive experience in clinical research and medical education. He served in administration and clinical practice at Saint Louis University School of Medicine for 20 years. Most recently he held positions as Assistant Dean of Clinical and Translational Research, Professor of Internal Medicine at the SOM, and Director of the Heart Failure program at Saint Louis University Hospital. He served as an adjunct professor in the College for Public Health and Social Justice. In addition, Dr. Hauptman was director of SLU's Clinical Trials Office, the regulatory authority for contracting, budgeting and invoicing of clinical trials. Prior to his tenure at SLU, Dr. Hauptman held faculty appointments at Harvard Medical School.